Oak Bluffs Marina, the largest marina on Martha's Vineyard, is a long-time favorite of many boaters, and offers unrivaled access to the rest of the Island. 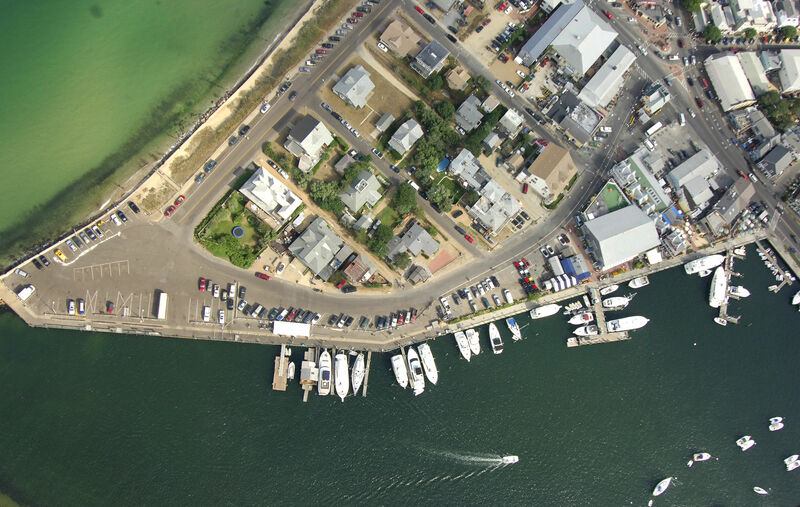 From our docks you are a stone's throw away from the beautiful town center with all of the shops, restaurants and attractions that have made it a famous and culturally rich destination. All reservations are only valid for the vessel information submitted. No substitutions or changes are allowed. Any changes will result in forfeiture of your reservation. Moorings in Oak Bluffs Harbor cannot be reserved. They are all on a first come, first served basis. Great setting, a fun place to be. Close to everything. Walk to restaurants, beaches, shops. Protected harbor. Great dock staff to support boaters. Biking, running, fishing...OB has it all. Had a great time. Nancy’s was a great meal. Sucha really great time and experience. Unfortunately with the weather we had to postpone the trip for a couple of days but we received a full refund for those days. That was veey much appreciated. A-1 experience in all aspects. Thank you all! fast and easy check in. 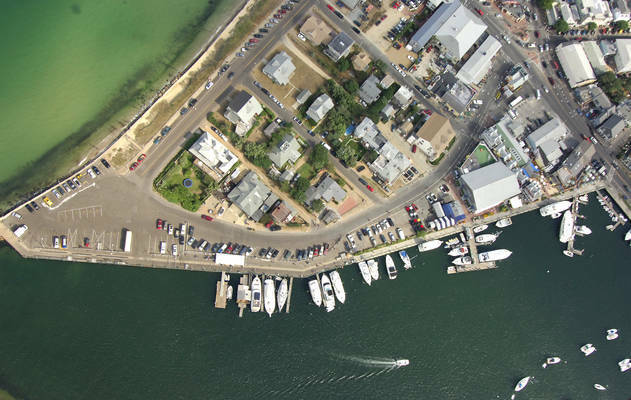 Always a great Marina, facilities easy to get gas and supplies. Horrible to be quite honest. People who were on their boats on either side of us were up partying all night long. Barely slept! They weren't even staying on their boats as they were open console, would've been nice if they could've gone to the bars or hotels where they were actually staying! We were surprised there was no harbor master or anyone at all around to quiet them down. The public shower and bathroom facilities leave much to be desired. 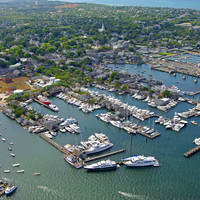 I love Oak Bluffs and the marina, support is 5. The boaters restrooms are terrible. Shower temperature totally not acceptable, from Luke warm to freezing. Water from all shower stalls drain into one central drain. This is disgusting! My wife went into the ladies area yesterday. Conditions were sickly, excrement from one toilet running all over the floor, She had to leave immediately before she threw up! This has been going on for years! I will try this marina one more time. If conditions are not corrected My boat and all my friends with boats will give It up and go elsewhere. 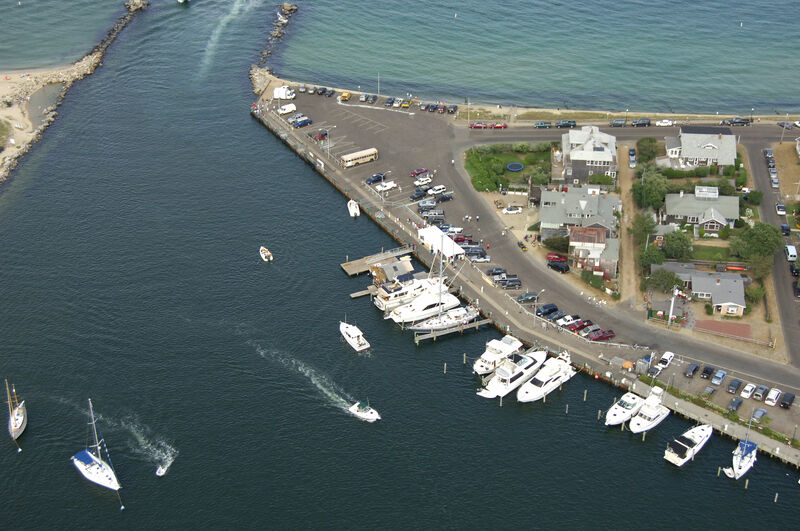 My wife and I love going to Oak Bluffs Marina and will continue to do so. However, the showers are in need of repair. In the men and women's room at least one shower is not working and the token machine is a pain. It only gives quarters in change but doesn't accept quarters for tokens and the shower coin timer didn't work once the token was put in. The marina wifi was non existent. Other than that. The marina is very clean. The staff is the best. They went out of there way to help every time they could. Its a great place to stay and I will again. As a side note, I'd be willing to pay an extra dollar at the showers if it went to fixing them up. A wonderful experience as always. Courteous dock hands to greet us, and a perfect location. Marina services and location in the heart of Oak Bluffs are excellent. 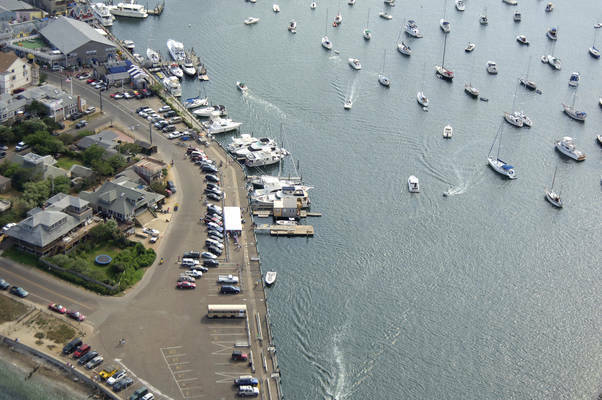 However, the otherwise fully enclosed harbor has a channel exposed to ENE winds which can cause breaking waves in the entrance which rock boats on both slips and moorings... and we got a strong Nor’Easter which did just that! Great spot right on the wall near all the action. Had a blast! Great location but facilities need updating. Bathrooms/showers are like beach facilities, showers cost $3.00 for 7 minutes, WiFi was non-existent where we were (near Nancy’s). Bathrooms locked up at night too, inconvenient. Otherwise fantastic location. Wi-Fi was not consistent. Shower facilities required tokens and wouldn’t take bills. Good location. Great place with plenty to do with the family and kids. THe marina was fine as it always is. I'm very disappointed that the WIFI only work when you are within few slips of the dock house. We were about 10 slips down and barely could get a signal. With today's options, I find this unacceptable! We had to leave a day early due to weather but the three nights at the marina were wonderful. Met lots of happy people! Love this place! Not very private or beautiful. A solid marina but the slips are up against the street and sidewalk. Better spot for a mooring. Great staff, great location. We did have a problem with shore power, but the staff got some extensions and rectified the problem. I will say dinghy space is tight, and there are some seedy folks hanging out by the restrooms. I'm hoping to be docked near the shack next year with other boats we travel with. Staff was nice. Town run bathrooms/showers dirty and only cleaned once a day. 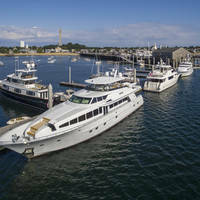 Location is convenient to town, harbor is easy to navigate, slips are easy to get in and out of, no one gets blocked in. Would be nice if there were a fish cleaning station and somewhere to buy ice before 7:00am. The shower facilities were disgusting and in disrepair. Never any hot water. No hooks, no shower curtains, filthy conditions. $3 per shower??? Are you kidding? After fee spent on slip?? For that fee, the boaters should have a PRIVATE, clean and properly operating facility. Great visit, we very much enjoyed our stay. Very Good - The Lighthouse we used for Power tripped it's circuit breaker a few times and we had to reset a few times overnight. No big deal, but I figured they probably don't know that it's tripping when it shouldn't. I think we were in slip 26, we used the socket in the top right right corner on the west side of the lighthouse. Thanks ! Better this year. No one stole anything. Good dock assignment. Helpful dock staff. Once you get through the honky-tonk, the cottages at Oak Bluffs are very nice. Always a nice venue. WiFi needs work. No signal at north end of head wall. Staff was invisible except for initial tie off. We make a few trips a summer to OB. The 3 star this year is due to the Public Bathroom by Our Market. It was disgusting and the “after dark” crowd that hangs around there after it’s closed. I just wish the Marina had its own facilities. The staff at Marina gets a 5 star!! No one to explain not a single amenities, not where to use bathroom about how trash works nothing but they said sign here and walked away period never again I have over ten friend who all have boats and we not going back sorry. Great mariner. Must do again. We were warmly greeted by a young lady upon our arrival at Slip 26. She helped us with the lines and hookups with a big friendly smile. Helpful neighbors, lively visitors and quiet peaceful Saturday night’s sleep. Will be back next week. I gave them 5 stars due to their communication. I was unfortunately unable to make my reservation due to weather. The marina called and gave me my assigned space and contact information incase I was able to make it!! Easy in and out. Deck hand greeted us and assisted us tying up to bulkhead. . Overall great experience. Friendly and accommodating staff. An employee was waiting for us at our slip and helped with check-in and power. Showers, bathroom and trash were somewhat conveniently located, however, the showers are maintained by the Harbormaster. As such, they are open to the public, never have hot water and the token machine is frequently broken. No cleats on slip #1, which floods at high tide and becomes slippery. Most dockage is simply a pole for tie off - very tight spaces. If you want to be close to the public and shops at Oak Bluff’s, and we did, the overall location is great. 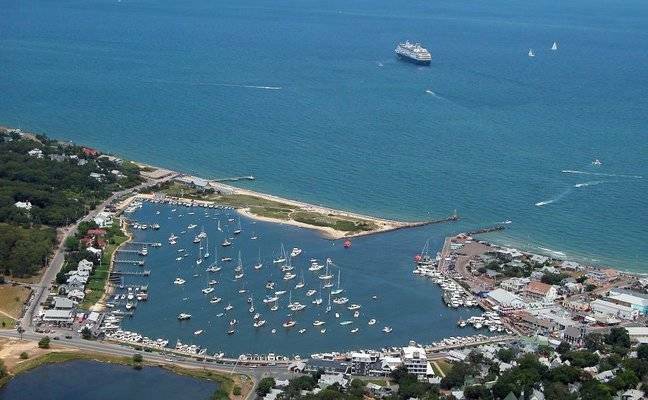 We always enjoy staying in Oak Bluffs Todd the harbor master is always there for anything, the entire staff are freindly and a joy to see. In the future we would like to see less of the rift raft that hang out by the showers at night and most days they leave there trash ,they are loud and somtimes scary they harrass people all the time and board people's boats when no one is there, it seems that each year they are getting bolder, we have had many run in with them and we have called the police they should not be allowed to do this. We know that Todd is doing what he can but I think this needs to be addressed by the town. OB is one of our favorite's! Great. Wonderful. Had a marvelous time. Nice protected harbor. Excellent location with lots to do right off the boat, and only a short walk to bus stops that can take you anywhere on the island. Night life near the marina is excellent. 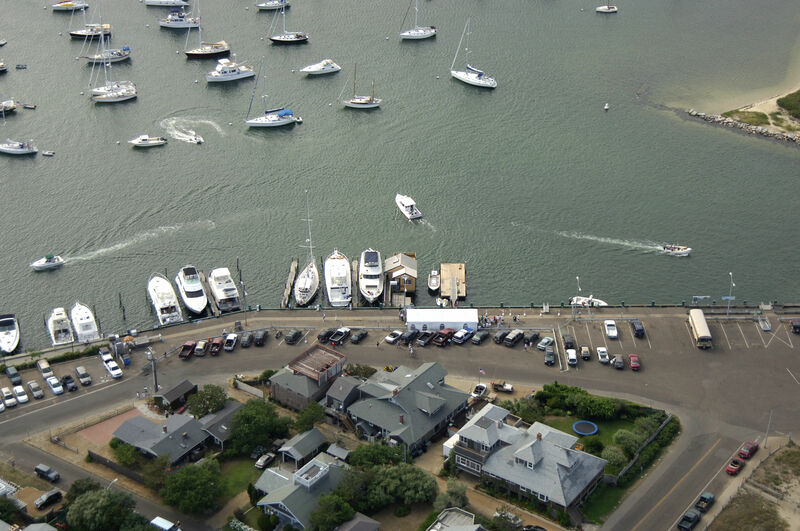 The marina and harbor Master was accommodating when we wanted to put in our boat on a mooring for a storm. Taking stars off though, for lack of a true dock system (Pilings and a rusty wall don't make the best home for a boat) and sub-par help when we first arrived. This was our second visit to Oak Bluffs- The town is beautiful with great restaurants and shopping- a great town to walk. We reserved our Seawell slip thru Dockwa, incredibly easy! 5 stars for Dockwa! Couple of things to be aware of, the Seawell can be a very busy place- loud and not a lot of privacy. However, restaurants and bars only steps away. The (public) restrooms and showers were dirty- no hot water and shower stalls in terrible shape- Andy only open from 8 am to 6 pm. We stayed on slips because we have a dog- and being able to walk him anytime was a real plus. If you're of the party set- this is a great place- and I guess a lukewarm shower will wake you up after a rough night. Had a great time in OB, slip was ready when we arrived and easy to access. Staff was friendly and helpful! The dock hands were right there to help us in and connect up our power . It's a tight fit between the pilings at OB. Good kids. The fuel dock is small allowing only one , maybe 2 boats. This lengthens the fueling process. 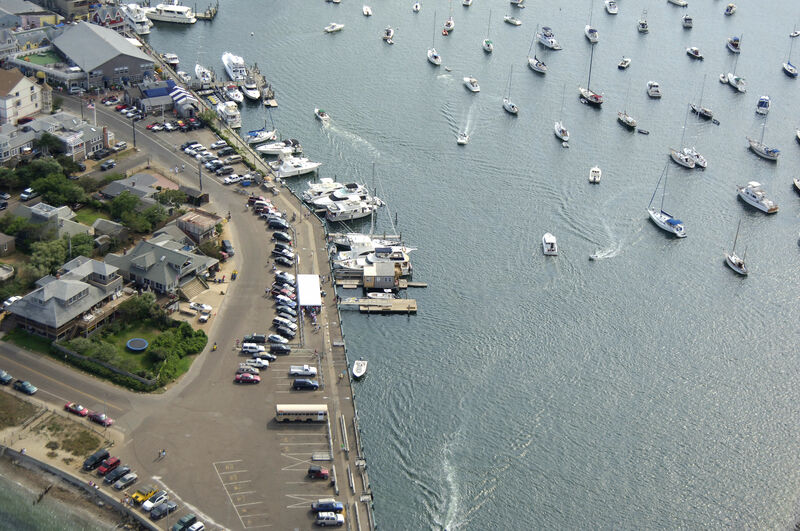 Staying in line is a problem and further complicated by ferry traffic in and out of the harbor. It can get scary , especially when you're waiting in line right where the ferry docks. The boaters showers , in a word ... disgusting. Overall , the experience of OB outweighs the shortfalls. Nothing like being "On the Wall " at OB. Fun marina right in the middle of the action! Party central- we always have a great time here. No WiFI. Say they have public wifi but you cannot connect to it at all. Noisy but good people watching. 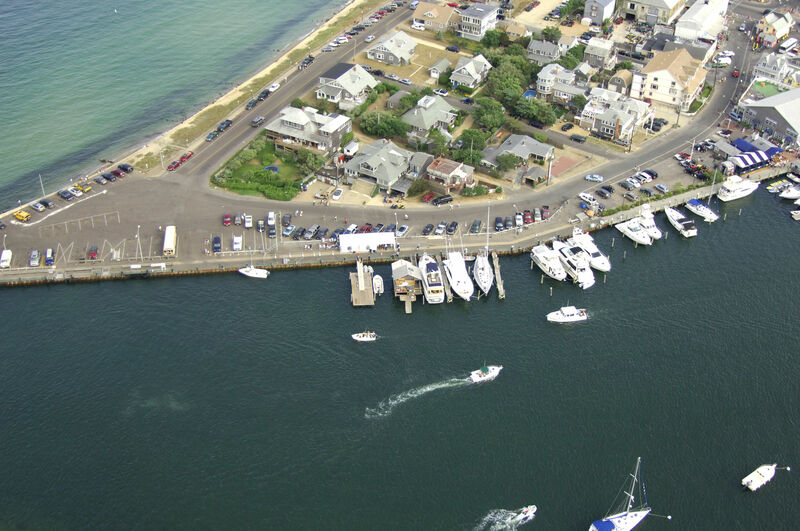 The maina is centrally located in Oak Bluffs. 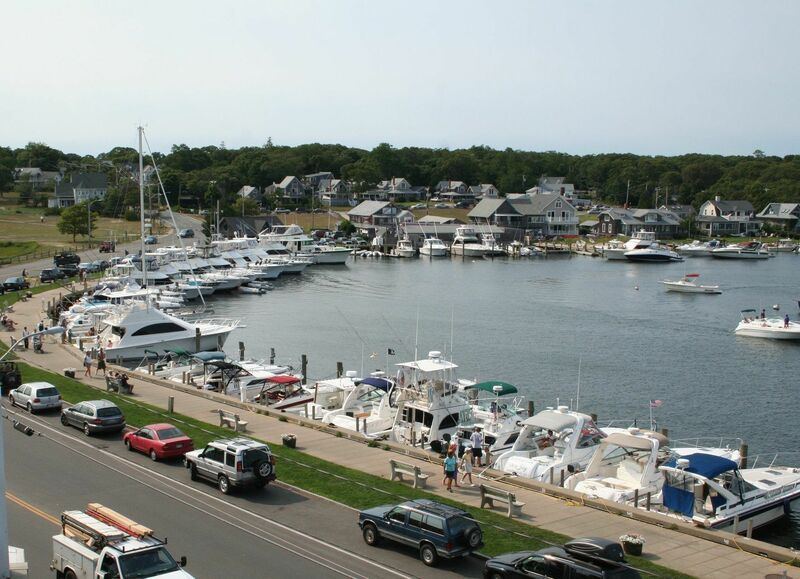 A short walk will get you to the bus stop where you can take the bus to Vinyard Haven, Edgartown, or any place else on the island. If coming with dogs have good means by which to get them off the boat as you are stern into a fixed dock with about a 3' tide. We needed a 6' ramp. The bathrooms looked okayish but we hardly used them. 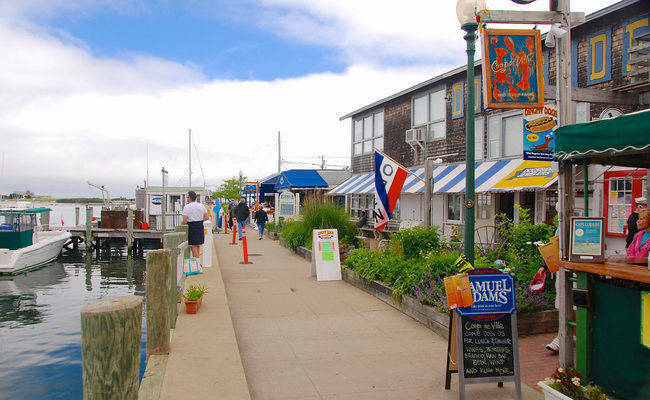 Once off the boat Martha's Vineyard is a very nice eclectic place and will please most people in one way or another. Always a great place to visit! Great location. Good showering facilities with additional showering options at the inn across the street. Good dining at marina restaurant with many fun dining, shopping and music venue in the immediate walking area. Slips are back or front-in and you tie up at the wall placing you one step from the sidewalk prominade bustling with passers by. Water and electric provided in each slip. 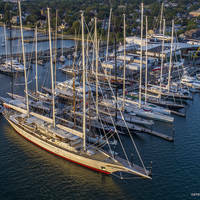 Best place to stay when visiting by boat on Martha's Vineyard. Good spot but docking on pile-ons was tricky. Staff was not as weather/sea knowledgeable as one might think. 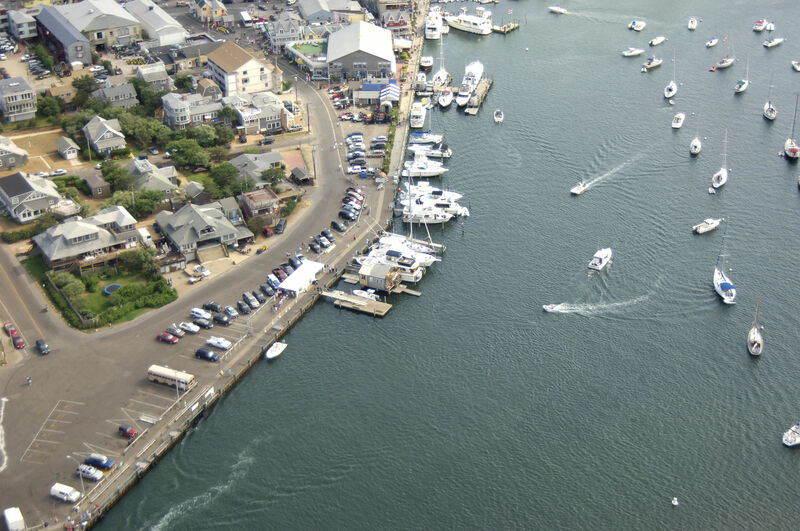 Always a great time in Oak Bluffs Marina! 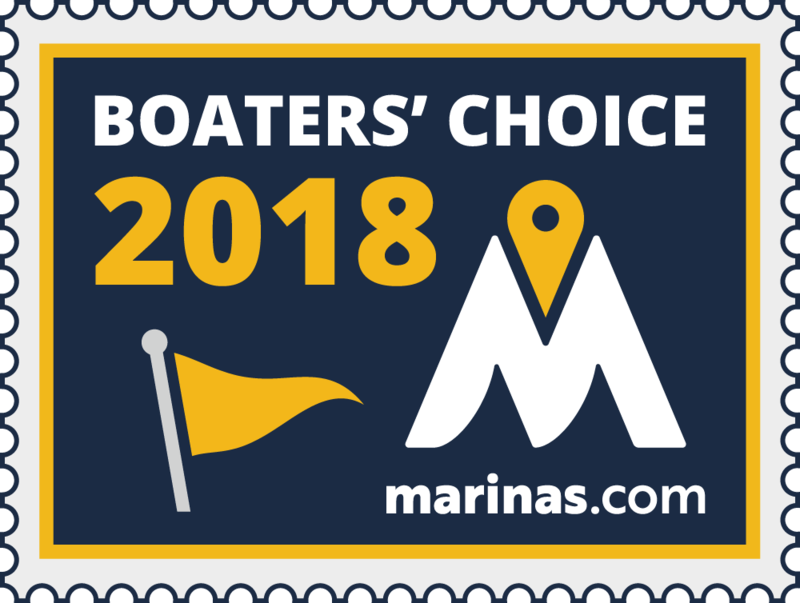 Very polite and easy to work with staff who go out of there way to make life in there marina a great time for there boaters. Thank you! Great venue with slips that provide access to a ladder and Oak Bluffs. Shore power available and advance reservations through Dockwa makes it all enjoyable and easy! Slips are narrow, boats do get wedged in pretty tight. However, great location in the center of town. Horrible experience. The rift raft walking back and fourth and the drunks hanging out on the benches was disruptive to our vacation. We specifically requested months ago to be put next to our friends because we all have little kids we need to watch. When we pulled in there was multiple open slips around us so I asked the dock attendant if our friend boats would be next to us , he said "yes" then they docked our friends boats on the other side, I raised the issue with the dock representive but he could care less. Very poorly organized and terrible customer service, you get better service at McDonalds! The bathrooms were very bad. This is the first marina that had poor bathrooms. 3 dollar tokens, no hot water, doors didn't stay closed. You could see the urinal from outside. Also there Wi-Fi doesn't work. You can't log on. Marina itself is not bad but you are at a public bulkhead. If you don't have privacy issues you'll be fine but be prepared for lots of awkward stares. The flip side of this is that you are a stones throw from everything here. You don't see many staff but they are responsive when called on. Its the Vineyard.. Marina was right in town and was a pleasant area to be in. Lots to do steps from the boat. Great as always - and new addition of fuel dock is wonderful - but I fueled in Vineyard Haven because I didn't read your updated website - my bad! 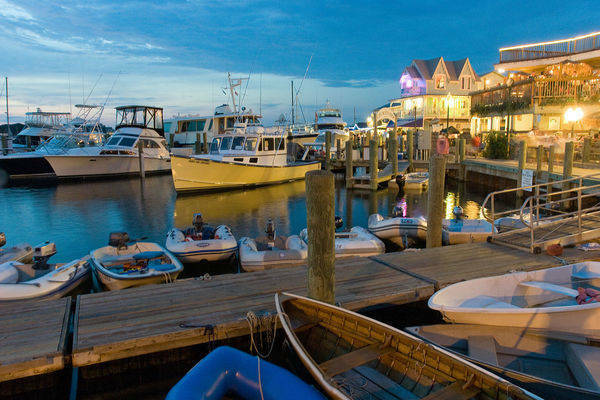 Fun environment with many bars/ restaurants on the waterfront. Reminiscent of Red Hook in the USVI. Dock staff lacking in any interest in helping clients in an unusual docking situation. Also bathroom/ shower access neeeds to improve. The slip I was assigned was too narrow for my boat. The rub rails on both sides actually pried the pilings apart to get in. The public bathrooms were we were told to use were dirty and locked at 9:30 PM ! 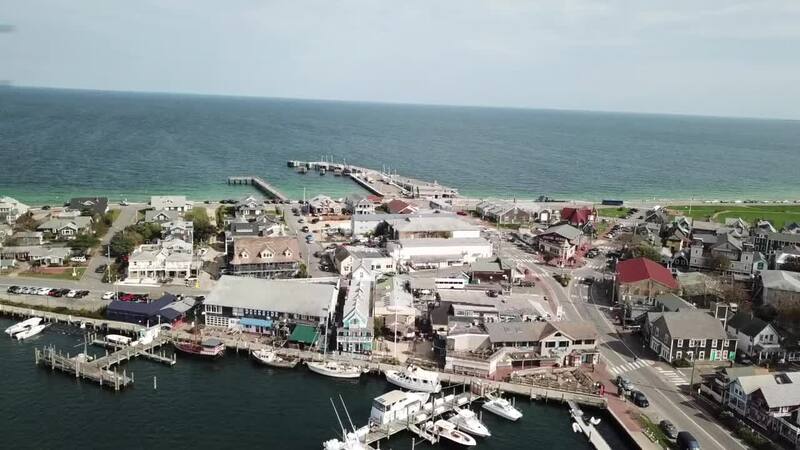 The town of Oak Bluffs is beautiful, lots off nice restaurants & shopping, unfortunately I will never stay there again because of the poor facilities. As usual the location is amazing, but the WiFi never worked on multiple devices, the ladders used when coming off the boats are loose and broken and the bathrooms are just dirty public bathrooms. Also being woken up one night to kids on the back of my boat looking in my cooler for beer makes me wonder why there is no security....a basic business where there is no money being put back in to improve anything. Marina was excellent, service great especially slip pump-out service! Food, shops, and transportion excellant! LOVED the whole experience. Even had great church service on Sunday!!! We love Oak Bluffs & everything was great EXCEPT the internet was terrible & was not fixed in the5 nites we were there. Nice harbor with friendly staff. Very convenient to Oak Bluff restaurants. Will come again. Booked many weeks in advance and requested to be next to a friend only to be denied multiple times, as they were sold out. There were many open slips over three days next to me. Found a local climbing down from above ladies room in the public marina bathroom, reported that to police!. Had my tender borrowed/stolen two years ago and got it back two weeks later. Beginning to wonder if this is a place I want to re-visit. Still managed to have a good time. Stayed Thursday and Friday nights along the wall. Very noisy and the late night (bar crowd) is disrespectful to boat owners property. Bathroom facilities are town run and not kept up. Town facility shower $3 for 7 minutes and you might have hot water, Summercamp Hotel has showers available but $10 for 10 minutes...even though the town was nice, it wasn't my favorite place to visit. Arrived on a very busy, crowded Sunday. Boats were rafted 4 deep in the mooring field. We took slip number 17 which is all the way around the cement bulkhead and wlakway from the ferry docks and waterfront bars/restaurants. Slip numbers 55-70 are closer to the busy waterfront. 1-25 are away from that and close to restrooms and a small market with the largest collection of wine that I have ever seen in a while. Very nice in a SW wind but close to foot and car traffic. Moorings are available (both day and overnight) in the middle of the very protected basin and their is a launch service on Ch. 77. The whole basin quieted down when all the Sunday day trippers left their moorings. Lots of restaurants, bars, kiddie activities, and people in the summer. A nice stop. One highight was watching the night time paddleboard lesson in the basin with underwater-lighted paddle boards that came out once the Pirate Ship tour quit for the day! We were traveling with 2 other parties and they did not even try to accommodate getting us side by side, though there many open slips. The dockhand was useless and the gas dockhand was even worse. It's a great location but just don't expect any assistance. 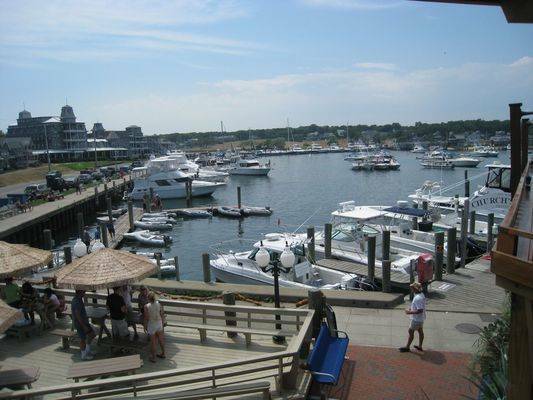 The marina staff was very attentive, showers and restrooms clean and night life was great! Highly recommend tnis! Government run marina. We have been using this marina over 40 years and not much has changed. 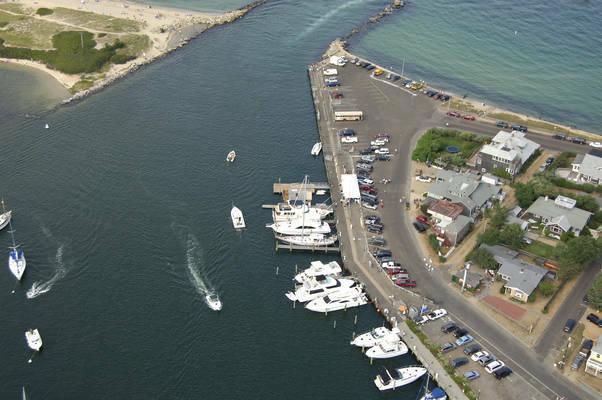 The Town of Oak Bluffs is only interested in the revenue from the marina. The town closes the shower/head facilities after hours. Clean harbor? 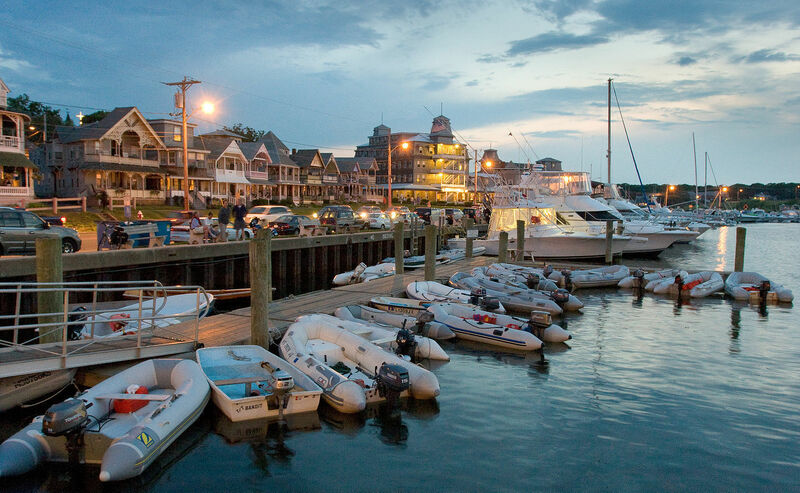 We did enjoy Oak Bluffs in spite of the marina facilities. The staff was very friendly and accommodating. Wake up Oak Bluffs.